Back in 1920's Holland a new tax was put in place for boats with a sail area greater than 16 square metres, so naturally a class which just fitted under this limitation was designed. It became what is still the most popular Dutch sailing dinghy (more than 20,000 built). 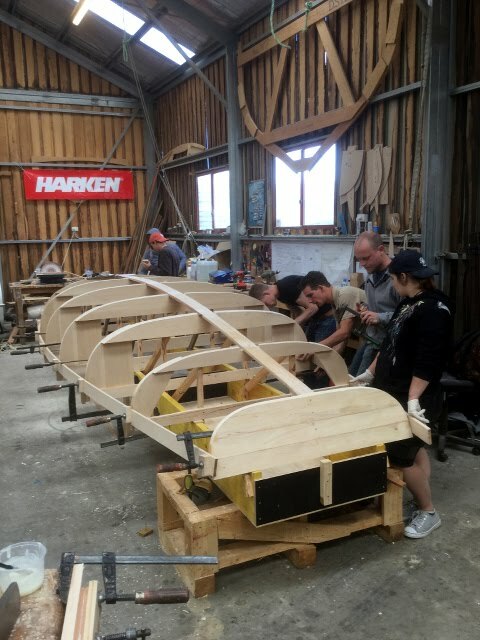 It is one of these which is being constructed by our Dutch visitors over in the Wooden Boat Centre: follow the build at http://bit.ly/2hGa8zp .